Seeing the world is a phenomenal experience that everyone is grateful for if given the opportunity to do so. Whenever you can make the time to take a trip, it will be time well spent. And the last thing you want is a silly slip-up to cost you your departing flight. Preparation is the name of the game in international travel. Make sure you complete your travel checklist and check-in on time at the airport. While surprises and serendipity are great, let’s make sure you arrive at your destination safely first. Between packing the right necessities and arriving to the airport on time, there’s a lot to remember. It’s simple though. Passport – This is the holy grail of do not forgets. In addition to your wallet and cell phone, this is a triple check item on your way to the airport. Make sure it’s valid and not expired. Smart Phone – Nowadays a quality smart phone doubles as a camera for the majority of folks. It’s also important for checking routes, showing boarding passes, etc, the WIFI connection in your phone must be reliable. Visa(s) – Make sure you have all the visas necessary before departing. 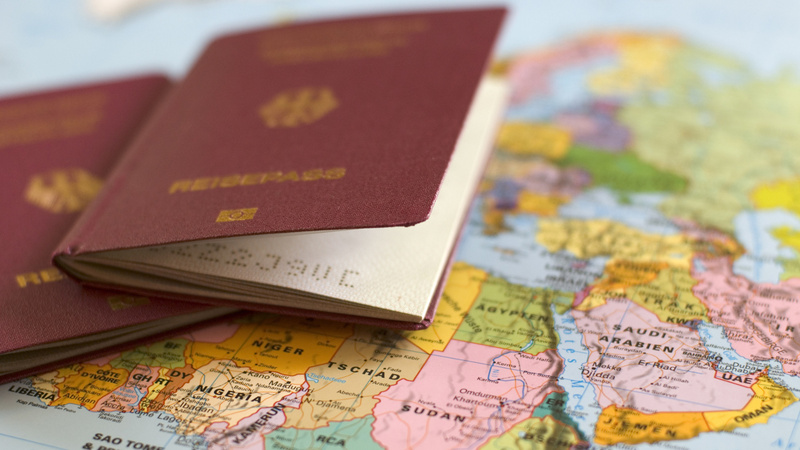 Many countries DO NOT allow visas on-arrival, so it’s best and most affordable to get them in advance. Exit Ticket – Some countries around the world, such as Thailand, prefer and sometimes require you to have an exit ticket, showing you will be leaving their country and when. It’s entirely possible you will not be even allowed to board your flight to your destination without a flight ticket out. Travel Pillow – If you’re flying international, chances are good it’s a long flight. Add neck support, reduce pressure points and sleep better with one of the best travel pillows for flying. Most compress and attach to your carry-on luggage so they save space in your bag. You’ll feel more refreshed when arriving at your destination. 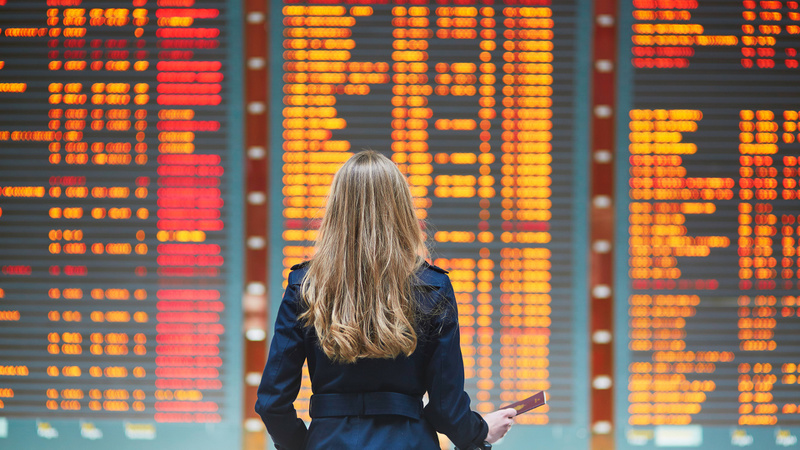 Young woman in international airport looking at the flight information board. It’s always best to be early to an airport than late. Rule of thumb for international flights is to arrive 3 hours before departure. And to play it safe, we’d recommend leaning towards 4 hours, especially in new countries with unknown airports to you. There are surprise obstacles and challenges you can face, such as huge security waits, document problems, forgot item, traffic on the way, etc. It’s the best feeling knowing everything went to plan and you check-in at your gate with oodles of time to spare. In the meantime, bring a book, walk around the airport, get some food, write a blog, or just sit and relax because you board for your vacation today. Check-In – Drop off any luggage, request seat changes, print out boarding ticket(s). They will check any required country’s visa here before allowing you to proceed. Security – Standard operating procedure, be aware of everything that’s in each of your carry-on luggage. Send shoes and personal items through first. Go To Terminal/Gate – It’s best to head to your gate first, even if you have time to spare. Larger airports may require you to walk or ride (bus/train) to another terminal. Board Plane – Bon voyage! All this travel talk makes me want to start packing for a trip. Did I miss any trip necessities that you know about…express yourself in the comments. Thanks!